Join colleagues and industry leaders for the premier conference and exhibition designed specifically for attractions professionals in the Asian market. Take your business to new heights with the knowledge, connections, and expertise you'll find at Asian Attractions Expo 2015. New ideas and products - Explore innovative options from more than 300 exhibiting companies from around the world. Best practices and business insights - Attend education sessions on issues that affect your success, including safety and marketing. Take behind-the-scenes tours to discover operations tactics of top Singapore attractions. Global networking - Enjoy valuable face-to-face time with 7,000 professionals representing all segments of the attractions industry from more than 65 countries. 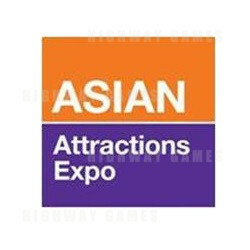 Please Note: Asian Attractions Expo 2014 is not open to the general public. Only registrants wearing an event badge will be allowed on the trade show floor.